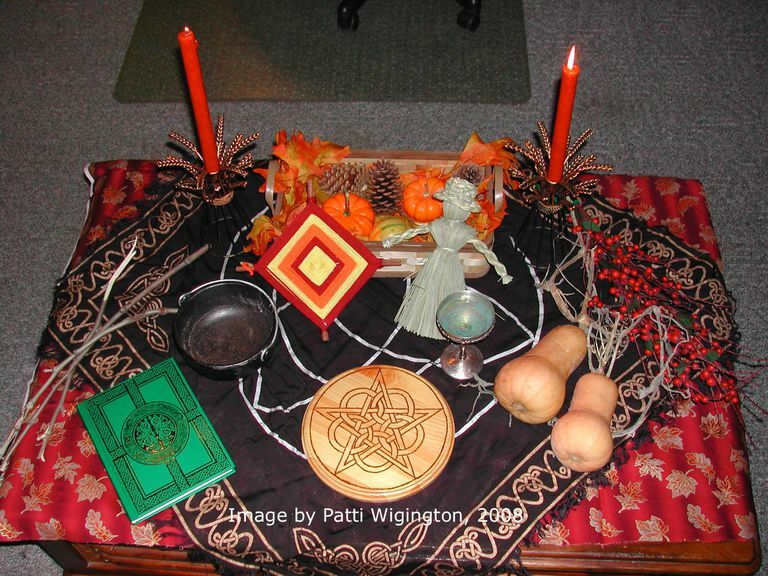 Mabon is the time when many Pagans celebrate the second part of the harvest. This Sabbat is about the balance between light and dark, with equal amounts of day and night. Try some or even all of these ideas -- obviously, space may be a limiting factor for some, but use what calls to you most. Interested in learning about some of the traditions behind the celebrations of the autumn equinox? Find out why Mabon is important, learn about the legend of Persephone and Demeter, the symbolism of stags, acorns and oaks, and explore the magic of apples and more! Wondering where the word "Mabon" came from? Was it a Celtic god? A Welsh hero? Is it found in ancient writings? Let's look at some of the history behind the word. Mabon falls around September 21 in the northern hemisphere, and around March 21 below the equator. This is the autumn equinox, it's a time to celebrate the season of the second harvest. It’s a time of balance, of equal hours of light and dark, and a reminder that the cold weather isn't far away at all. If you’ve got kids at home, try celebrating Mabon with some of these family-friendly and kid-appropriate ideas. At Mabon, the time of the autumn equinox, there are equal hours of light and dark. It is a time of balance, and while summer is ending, the winter is approaching. This is a season in which farmers are harvesting their fall crops, gardens are beginning to die, and the earth gets a bit cooler each day. Let's look at some of the ways that this second harvest holiday has been honored around the world for centuries.